Come join us for our monthly Chapter Meeting on May 1, 2018! 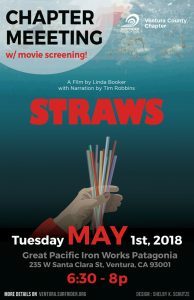 We will be showing a special movie screening filmed by Linda Booker and Narrated by Tim Robbins. All are welcome to join our meetings, so please feel free to invite your friends and family.